You picture your coworkers’ resumes and convince yourself that you have so much more experience than them. I mean, just think about all of the extra work you’ve done this year, how many late nights you’ve put in, and all of the compliments you’ve received from your manager. Surely if anyone is fit for a promotion or new opportunity it’s you, right? Ok cool. I’ve been there. And as a recruiter, I’ve spoken with hundreds of employees who have been there themselves. And over time, I’ve noticed six very common trends among those employees who actually get the promotion versus those who don’t. From. Day. One. This type of person takes the time to deeply think out their hopes and dreams and has completely open, professional lines of communication with their boss about these ambitions, because it’s that important to them (as it should be). This starts with setting serious time aside during that goal-setting period at the beginning of each year and (very important) at least quarterly throughout the year to meet with their manager on how their current job is aligning to their goals. If there are gaps, these types of people research and discuss certain project ideas that could help get them back on track. These types of people know they own their careers and will speak up and ask their managers when they need support. This is interesting because unbeknownst to many folks, we (interviewers) and hiring managers can actually tell with good accuracy and precision how much you really want (or don’t want) the job. Are you interviewing for that promotion because it’s the obvious next step with your typical career path, or perhaps because you’ve put in so much time and “deserve it?” Or, are you interviewing because you really want this particular job? Allow me to share a personal story. Almost two years ago, I sat down with our CAO who had hired me and I told him, in the most professional way possible, that I wasn’t happy. It wasn’t the job. It wasn’t the team. It was the fact that I truly felt I was in a position where the best version of me wasn’t being utilized. Now, that was highly summarized for the sake of this blog post, but did I rush into this conversation with the CAO? Heck no. I spent a couple months trying to figure myself out first. Specifically, what made me unique, what part of my job did I love, and what part just didn’t feel like me. And only after figuring myself out first, did I go to him with a few possible solutions. I did NOT go to him to vent. That’s simply unprofessional. I went to him with my situation, some specific examples, and proposed a few solutions on how I thought I could bring more value to our company. Your #1 goal should be to always WANT the best version of yourself to go to work each day. So think about what really makes you happy, what makes you tick, where your current job falls on that scale, and where this “next step” that you’re going for puts you on that scale. Then, go back to #1 above and have an open, honest conversation with your manager. I can’t stress enough how important it is for you to develop good, lasting relationships with everyone you meet. You simply cannot wait to start networking with people only when you need them the most. Why? Because there are probably ten people who have already started that networking well before you, knowing that one day they could leverage these relationships to help get them to that next step in their career. This isn’t using and schmoozing people. It’s simply introducing yourself, learning about others, letting them know who you are, what you do, and what your goals are. It again goes back to developing and maintaining open lines of communication and good relationships. Adding to #3 above, these people will simply ask if they can volunteer their skills and passions to start gaining some experience in the role they are eventually hoping to be in. This is a must, especially if you’re trying to move into a role whose scope, functionally, is quite different than your two most recent positions. Why do I say most recent positions? So ten years ago you were in a similar role to the one you’re trying for now. Surely you’re qualified, right? Perhaps qualified, but not COMPETITIVE. Things change at rapid speed these days which is why a hiring manager will want to focus in on your RECENT experience and how quickly that can translate over to their requirements. So my best advice to you is to ask for stretch assignments in this space and volunteer your time on projects so managers can demo your capabilities without having to take on the risk of hiring you full-time. Yes, this is in addition to your current job, and yes, you’re probably like “Volunteer my time? What time? 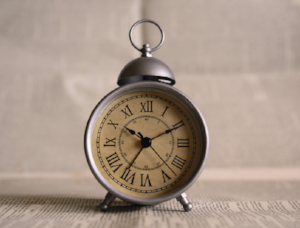 ?” Unfortunately, you’ll need to figure out how to make time. And the easiest way to do this all goes back to #1 above. Have an open conversation with your manager to see how you might be able to shift work around to fit some side projects into your schedule. This sounds silly, but I’m speaking facts because I’ve seen and heard it a hundred times. There is a distinct difference in character in those who get that next opportunity and those who don’t. Those who do are grateful for every piece of experience, even if it’s not all sunshine and rainbows. They have an attitude of gratitude. If something doesn’t go their way, they don’t see themselves as victims of unfair circumstance x, y, or z. They appreciate everything, big or small, pleasant or tough. So how, you might wonder, does this translate to actually making any sort of difference in reality? Well for starters, these types of people are just more pleasant to be around. They’re uplifting, they’re contagious, and they help bring positive light to any situation at hand. Who wouldn’t want someone like that on their team? Secondly, they see every situation, no matter how crappy, as being a +1 to their life. A horrible day at work equals just another learning experience to add to their toolkit. Contrast that to the victim-mindset where nothing is ever good enough. Where a horrible day at work equals a “why me” mentality. Rather than learning from tough circumstances, these types of people choose to spend their energy venting over why those circumstances are happening to them in the first place. Can you see the difference here? Don’t beat yourself up if you’re the latter, most of us are. It’s human nature. But you’ve heard the phrase “practice an attitude of gratitude.” And that’s because, frankly, it takes practice. But look at the difference a simple shift in your reaction can make to your outcomes. If you think you will automatically be offered a promotional role because you’ve been on the team, are friends with the hiring manager, or whatever other reason might be floating around in your head, think again. Because news flash, you are not the only person interviewing for the role. The successful person will prepare themselves as much as possible because they know they might not be the only contender. They can’t risk being the silver medalist because they want the job that bad for their career. Even if by chance they know they are the preferred candidate, they see the opportunity to interview as a learning and development experience. A way to further refine their presentation skills. They come to the table 100% serious and prepared to give it their all. And that tells the hiring manager that this person can be counted on to always give the job their all, no matter the circumstance. 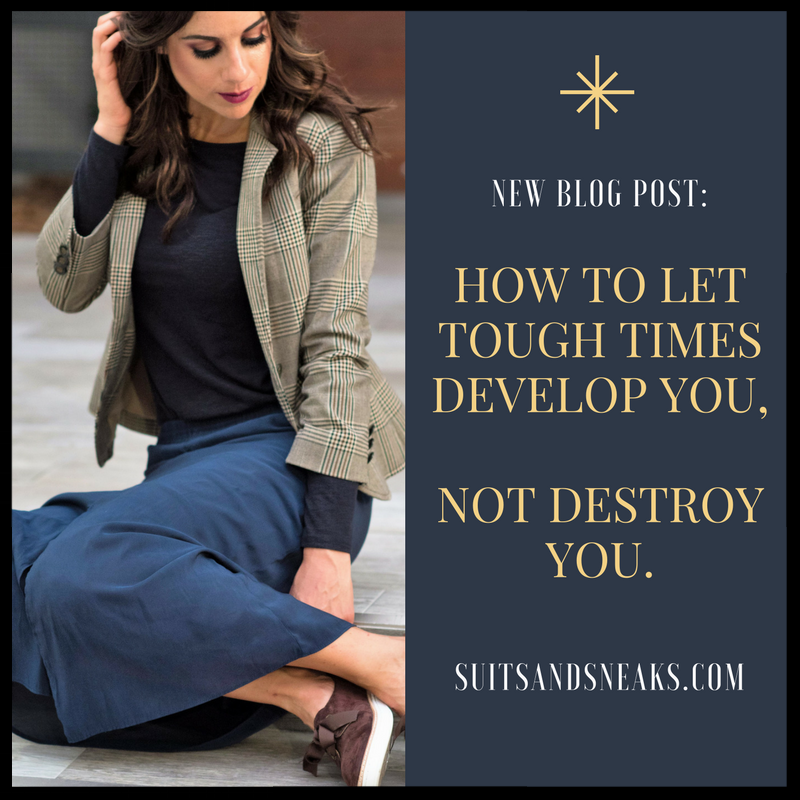 These six trends came to me pretty quickly as I was preparing to write this post because I’ve seen over and over again what sets those who move forward apart from those who don’t. Now you might think to yourself, “I totally meet all of the above, but I was still rejected!” And that’s where recruiting is tough, because at the end of the day we could have multiple amazing candidates, but only one person can get the job. And my best advice to you in that case? Go back to #1 above on communication and ask for open, honest feedback so you know how to improve for next time. If you guys know someone who might benefit from this article I’d love if you could share this with them and your network. Thanks so much for reading! What is a Pinterest Community? You are joining a group where your feed is full of beautiful pictures of things YOU care about. Bye-bye annoying political posts that we’re all sick of seeing. There’s a specific Community for that. Your phone will not be exploding with notifications about literally everything. It’s like Instagram with the pretty pictures, but without the annoyance of fake accounts, follower/like obsessions, AND you don’t have to be the one posting everything, everyone can! (sigh of relief). It’s also better than Instagram because each post contains LINKSSSS! So you can access more information instantly. Praise the lord, hallelujah! There’s way more benefits, I’m literally only 8 hours into using it. Ok so how do I SEARCH, JOIN, OR CREATE a Pinterest Community? Literally, the easiest thing ever. 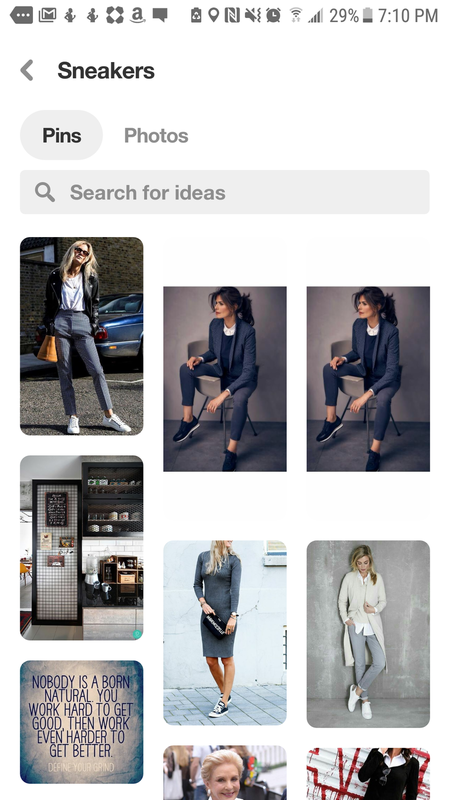 First, open your phone’s Pinterest App. Look at the bottom center of your screen. Do you see a Community icon with a heart in the center like below? If not, all you need to do is update the app and then you’ll see it. 2. You have to first JOIN a community in order to be able to CREATE a community (if you so wish to create one). 3. Now that you’ve joined a Pinterest Community, you can CREATE a Pinterest community in one easy step (if you want to). See that + (plus) sign in the top right corner of my previous screenshot above? Click that to CREATE a new community. And then all you need to do is add three simple pieces of info - Community Name, Description, and a Cover Photo. Voila! You’re now the admin of your new Pinterest Community! 4. Now that you’ve joined a couple communities, feel free to start sharing content! 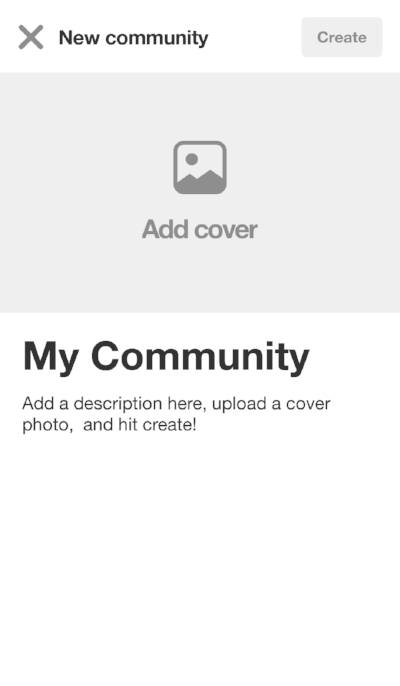 You can upload your own pics OR you can post from pics you’ve already pinned on Pinterest! 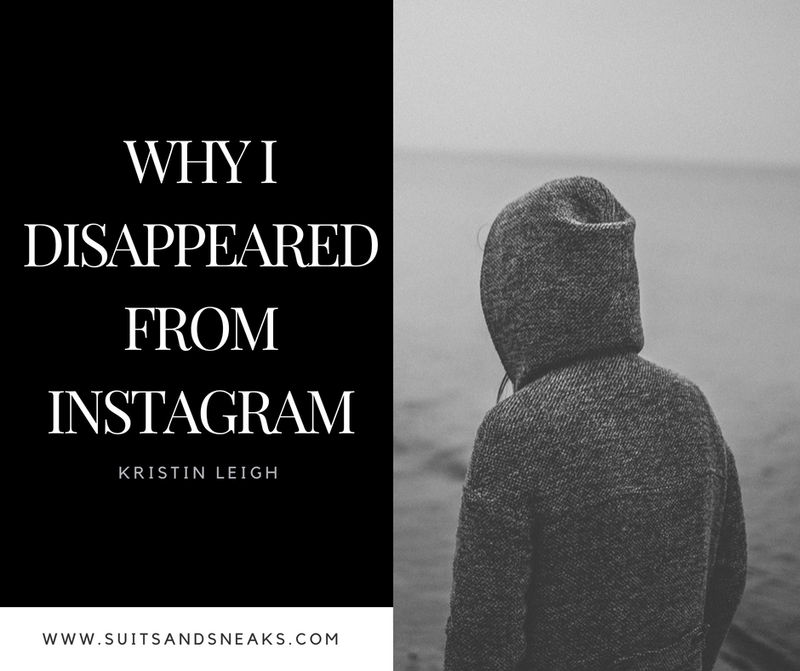 (This feature is amazing because now YOU don’t always have to be the creator of the content). Just click the “Write something” field, start writing, and if you want to upload a photo or Pin, just tap that section at the bottom of the screen. And boom, all your recent pins, or your phone’s camera pics, are right there for you to choose from. And that’s it!! Make sure you join the Sneakers community I just created because I want to meet you and we can share our favorite new kicks! I am so excited to introduce you to the newest concept to hit the Downtown Tampa neighborhood, and it combines two of my favorite things – shopping and a champagne bar! Owners Danielle, Graham and their adorable pups Becks and Wailer, have opened up shop in the brand new Fitzgerald building with some of the hottest, unique, and most versatile women’s styles on the market. Whether you choose to mosey around the clothing and accessories first, or instead head straight to the bar for a glass of champagne, either way, the experience is one of a kind. They also have some of the cutest and unique jewelry. Even chic stuffed toys for your dog – Chandog anyone? Not to mention some adorable Tampa native styles. Like who in Tampa could seriously pass up a shirt that says “I was the lightning before the thunder? ?” I snagged that immediately and a totally boss TPA hat. Check it out below. Ok now, let’s talk bubbles. I honestly never knew the variety in champagne, and I probably couldn’t ever repeat it to you, but there is quite the fun selection to choose from. Sparkling whites, an assortment of Roses, Cavas, Proseccos, you name it. I said, just surprise me! So I first received the Perelada Cava Brut Rose and then the Piper Sonoma Brut Rose. Oh my gosh, both were so refreshing and delicious. And not to mention a beautiful pop of pink against their chic white counter made for the perfect photograph! Go ahead and check out their menu and some scenes from the bubble bar below! They even have a cute little bistro setup where you and a friend, or significant other, can sip your champagne while you watch life happen on the streets outside the window. And don’t worry, you can bet Mr. Becks will be close by to make sure you’re well taken care of. For me personally, I sat at the bar and chitchatted with the owners about what’s happening in the Channel District, sipped my rose, and casually glanced around the store for the next piece of clothing I wanted to try on. And then I basically went nuts over Becks and gave him belly rubs galore. I absolutely love the quaintness and intimacy of the setup because it can appeal to any type of customer. You can show up alone and feel part of the family. You can show up with your significant other and grab a window table for two. You can show up with a girl friend or a group of friends and have a blast at the bubbly barchique. Or, you can grab your drinks and choose to get super comfy in their chic living room setup. But the kicker? Nothing beats the sound of bottles popping throughout your shopping experience. Let's be real, it will instantly put a smile on your face. And don’t be surprised if you find yourself throwing out a little “Woo!” when you hear it. Are you ready to head over there now?? Don Me Now is open from 11am to 7pm Tues - Wed, to 8pm Thurs - Sat, and 12-4 on Sunday. Your best bet is to grab the 2-hour free parking deal in Grand Central’s building right across the street. Then pop on over and have a blast! Woo! !